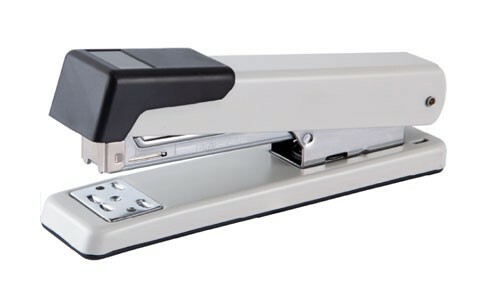 Full strip powder coated stapler with plastic cap. Rotating anvil for different type of stapling. One strip having staples of 24/6-100 or 26/6-150 can be loaded at once. Indicate maximum insertion paper depth. The base length of depth is 71mm and breadth is 145mm.